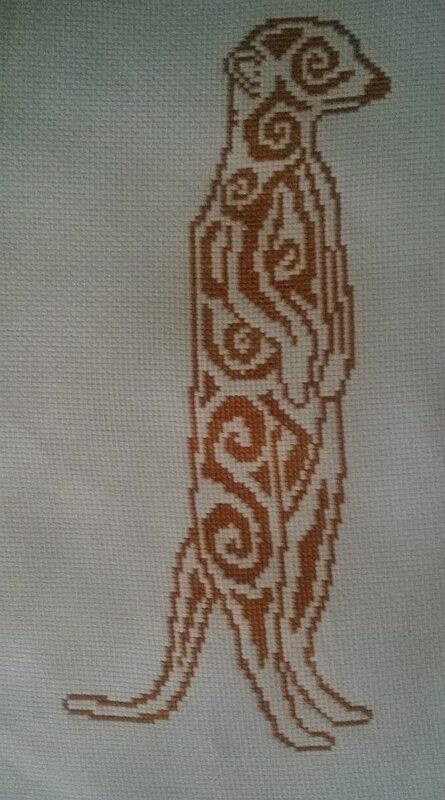 Tribal Meerkat is a unique outline chart measuring 70 stitches wide by 145 stitches high, and has been designed for you to use whichever colours you choose for stitching. It is perfect for hand dyed fabric and threads. If stitched as charted, and on 14 count fabric, it is estimated that you should only need a single standard skein of thread to complete it. Pictures shown were stitched by Gill, Diane and Gaynor. 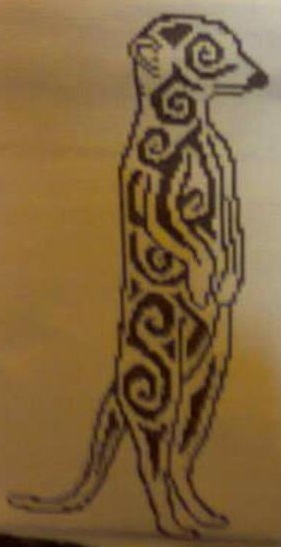 The last picture shows a software generated mock up of the piece. 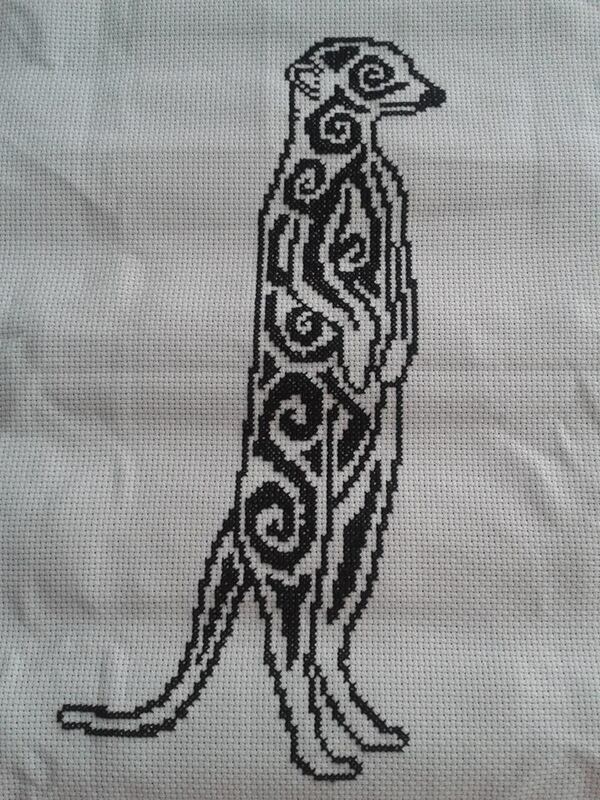 I love Meerkats so I couldn't resist this design. As with the other designs I have purchased from KLT Charting this chart is easy to read and stitch. This fact plus the convenience of delivery via email means I am sure this won't be my last purchase.